3 Tea Variants from Ripple Tea which is a must-have in your kitchen | Unkrate | Creating Experiences. India runs on chai, it certainly does. However, there has been a significant change in the consumption pattern of the tea. There is a clear divide in the rural and urban India, where the former still sticks to the milk and sugar tea. In the case of the latter, people have made a shift to different varieties of tea owing to the rising concerns on health. While Green Tea becomes a natural substitute for the milk/sugar tea, the more sophisticated and premium tea varieties are slowing making an inroad to the kitchens. 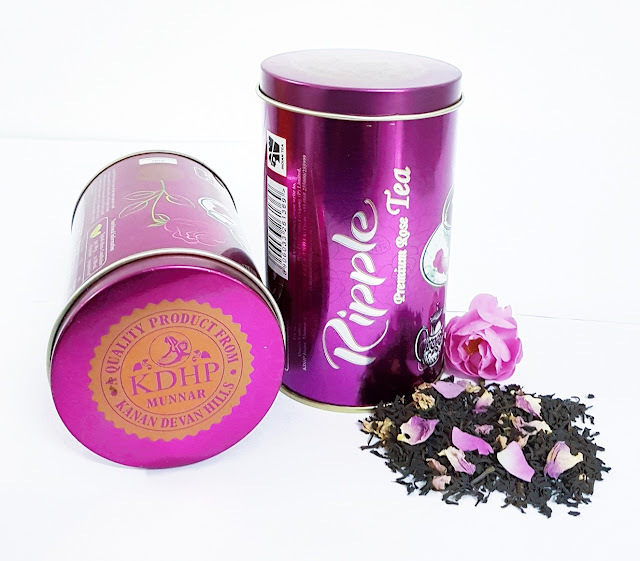 Ripple’s Premium Rose Tea is a clear standout, combining the fragrance and feminine characteristics of roses that are hand-plucked from their very own organic rose gardens in Munnar. Rose has the element of freshness and naturally sweet taste, which gives a soothing and rejuvenating experience with every cup. For best results, brew around 2.0 g tea in 120 ml water and let it boil for 5 minutes in minimum temperature. Do not and I repeat do not increase the temperature, it will give you a bitter taste and nothing else. White Tea is the most revered of all teas. One of the rarest teas in the world and once reserved for the nobility in China, this quintessence of tea enjoys the royal status across the world. It is harvested before the leaves open fully when the buds are still covered by fine white pubescence and hence the name. Once the buds are handpicked, they are carefully and meticulously dried. While Ripple’s Rose Tea has its own character and essence, the White Tea is the most subtle of all varieties. 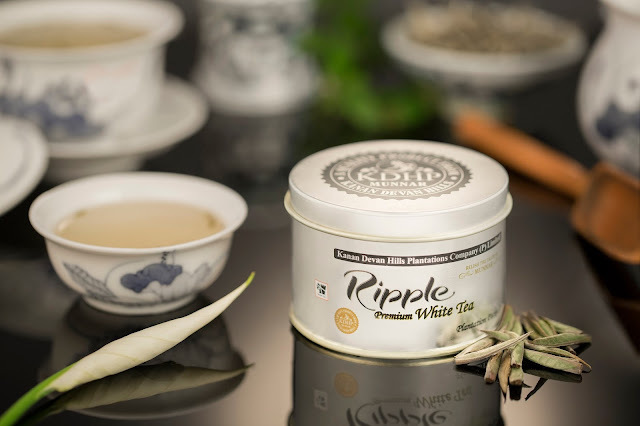 Ripple’s White Tea consists of buds that are covered with fine ‘silvery’ hairs that impart a light white/grey colour to the tea. This tea has a refreshing texture with delicate, light, polished flavour. If there is one green tea that you should have in the kitchen, it has to be this. 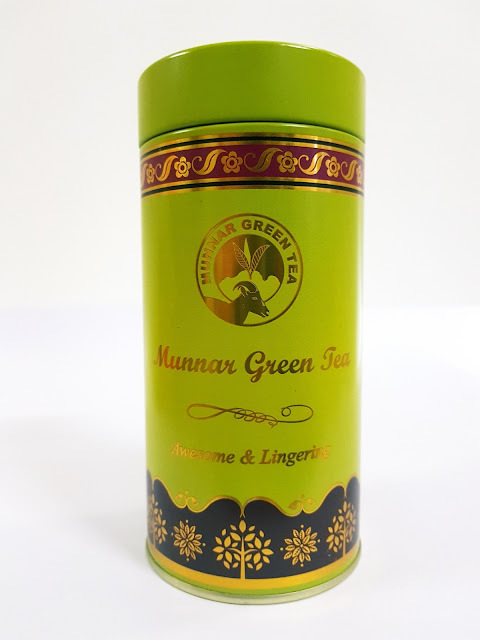 Ripple’s Munnar Green Tea is manufactured from specially harvested tea shoots from lush green tea gardens located at 6000 to 7500 feet above MSL in the undisturbed ecosystem of the Western Ghats with abundant diversity and managed using scientifically documented Good Agricultural Practices (GAPs). Every cup of this Munnar Green Tea is loaded with antioxidants and nutrients that can keep your body healthy and fit. The green flavour of the tea will also help to calm your mind and reduce stress.